If you are planning a camping trip, consider visiting the beautiful Lake Granbury, located in northern Texas. This lake offers stunning scenery and many fun activities, and it is a great camping destination because you can enjoy the water activities while you camp. Lake Granbury is just over 33 miles of rural recreational fun. It is located about 35 miles southwest from Fort Worth, Texas, and it is easy to see why this lake is popular for families and outdoor enthusiasts. It is a big enough lake that allows many people to visit without it feeling overcrowded. There are two fishing piers, 5 public boat ramps, and 4 camping areas designated for overnight stays. Additionally, you will find day-use picnic areas that can be used if you aren’t planning to stay overnight. The camping locations allow you to enjoy the quiet, rustic experience of being in nature. But, the city of Granbury is nearby, in case you need to quickly access modern conveniences such as grocery stores or restaurants. The city of Granbury is a resort community that is relaxed and fun, providing many dining and shopping options in the area. Near the Lake Granbury camping areas, you will find beautiful lake shorelines. You can access the main campsites that are perfect for families and accessible gatherings. Choose to camp right by the lake, and your family will have fun splashing in the water near your camp site. One of the most popular lakeside campgrounds is Rough Creek Park, which offers a boat ramp and picnic tables, as well as tall beautiful trees and 100 feet of beach access to the lake. 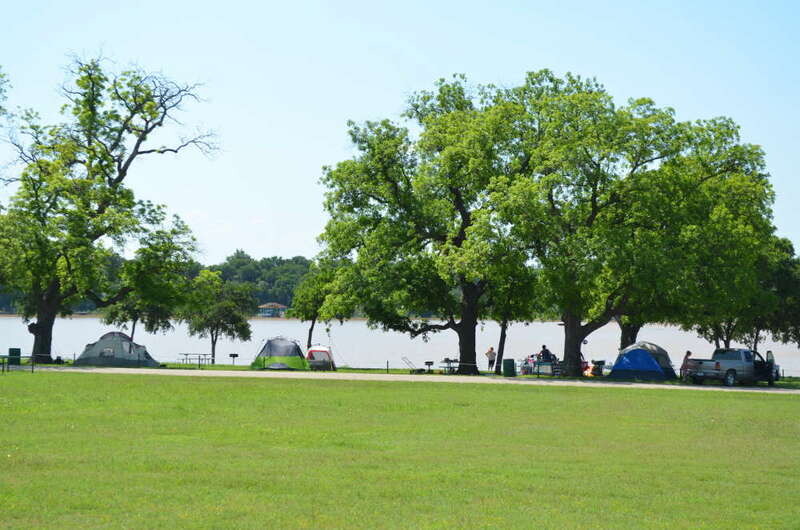 Whether you are planning a day trip or looking to stay for the weekend, Lake Granbury camping is an activity that the whole family will enjoy! Here are a list of the parks and campgrounds on Lake Granbury. Please click on any park name for more information about that park. From US 377 just east of Granbury, turn south on FM 4, then right on 167. Watch for park signs.